Robert Carlyle has joked that his son dons a Begbie-like fake moustache and flips him "the Vs" at home. When asked by Time Out if his kids are old enough to watch the original Trainspotting film - in which he plays the formidable character - he replied: "No, but they know about it. "My wee boy is ten. He puts on a false moustache and flicks me the Vs. But we draw the line at swearing." Talking about getting into the character of the psychopathic Begbie after over 20 years, Carlyle admitted it "takes its toll". The 55-year-old told the outlet: "There’s a level of anger that you need to hold on to, so you don’t have to find it every day. It does take its toll on your private life. You find yourself being short with people. You get a wee bit louder and a wee bit more snappy." The Scottish actor has also previously gushed that the film is a "beautiful thing" but would be "quite emotional" for fans. 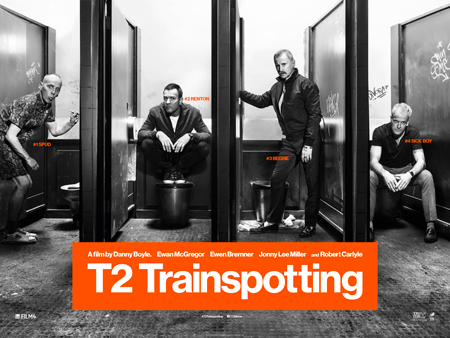 Trainspotting 2 is set for release in UK cinemas on 27 January.